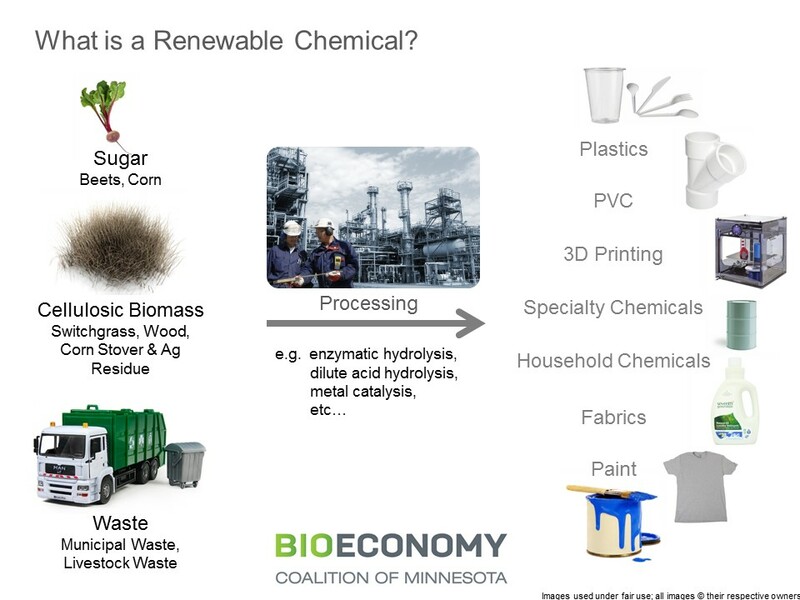 Today in the Minnesota legislature Senator Tom Saxhaug (DFL-Grand Rapids) and Representative Rod Hamilton (R-Mountain Lake) introduced a bill creating a production incentive program for commercial development of advanced biofuels, renewable chemicals, and biomass thermal energy. 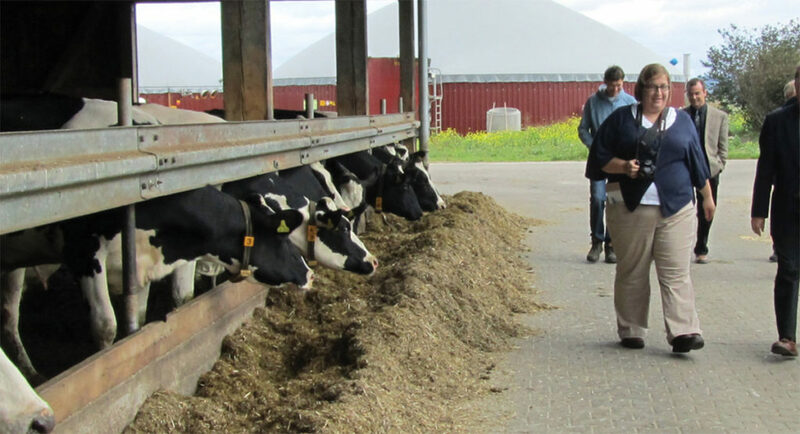 The bill is the top legislative priority for the Bioeconomy Coalition of Minnesota, a multi-stakeholder partnership of private industries, agriculture and forestry interests, and non-profit organizations. 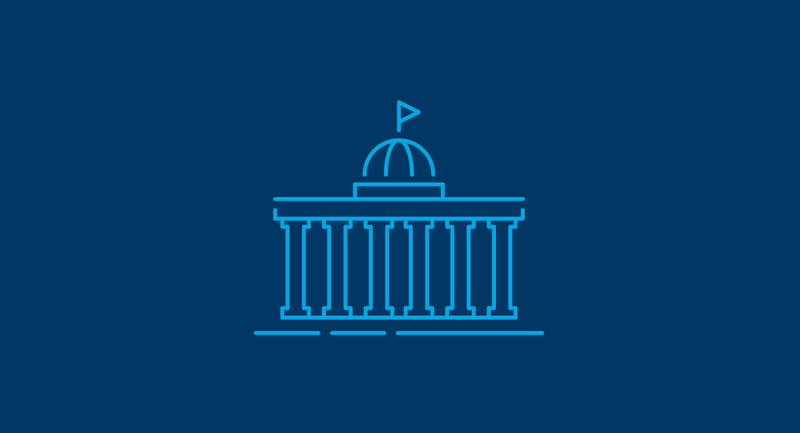 GPI organizes and facilitates the Coalition. The Coalition will be working with Sen. Saxhaug and Rep. Hamilton to help advance the bill through the legislative process. SF 517 – current authors include: chief author, Tom Saxhaug (DFL-Grand Rapids), David Tomassoni(DFL-Chisholm), Julie Rosen (R-Fairmont), Bill Weber (R-Luverne), and Scott Dibble (DFL-Minneapolis). The intent by behind the production incentive program is to make it easier to construct commercial-scale production facilities of advanced biofuels, renewable chemicals, and biomass-based heat. 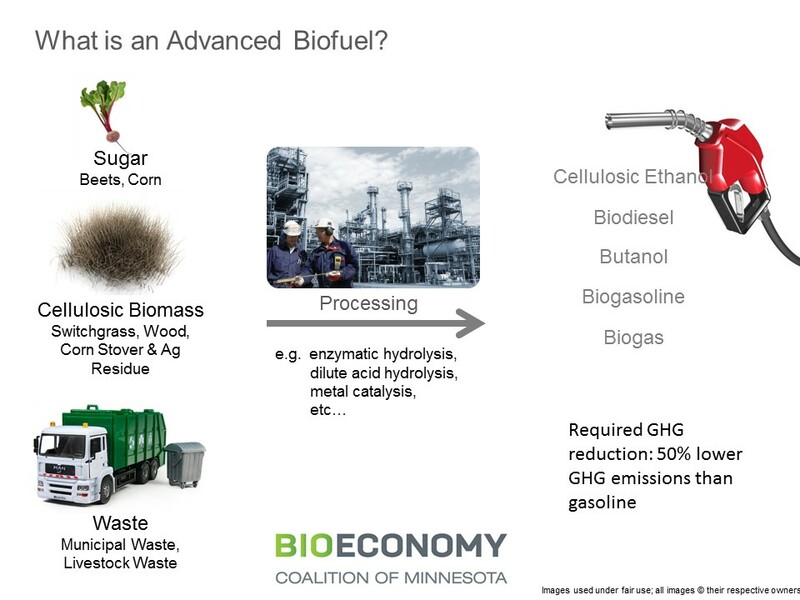 Below are two graphics that help to illustrate what is an advanced biofuel and a renewable chemical. Beyond the environmental benefits of displacing fossil fuels in our transportation and materials supply, the commercial deployment of advanced biofuel and renewable chemical production presents a tremendous economic development opportunity for Minnesota. In 2014, GPI worked with University of Minnesota Extension to conduct an economic impact study to demonstrate the enormous value proposition available to the state of Minnesota by making public investments that would enable bioindustrial development. GPI collected confidential data from seven different companies that were considering project investments in Minnesota. Extension used the company data as representative case studies. Those case studies were scaled to represent 14 potential biobased production facilities. The economic impact study found that if all 14 potential biobased industrial facilities became fully operational an estimated $840 million in annual direct and indirect economic activity would result. The potential facilities would annually support roughly 3200 jobs and $174 million in wages, salaries, and benefits for those employees. The graphic below gives a high level summary of the direct and indirect economic impact outcomes. 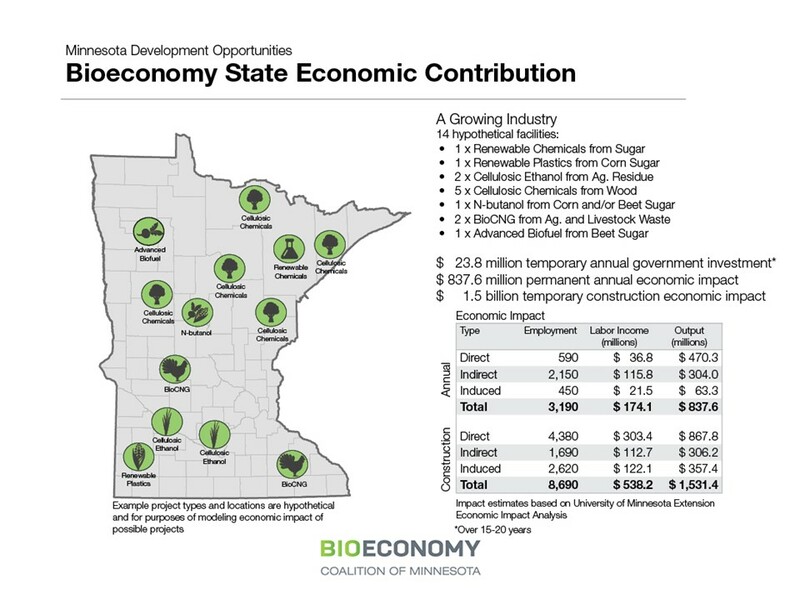 You can learn about the study and data in the full report: Economic Contribution of the Biobased Industrial Production Industry in Minnesota: A Look to the Future. The Coalition will be working closely with our chief authors to schedule the first committee hearings on the bill in the House and Senate. The Coalition will also be working to build support for the production incentive bill with members of the legislature. If you are interested in helping to support the bill please contact Amanda Bilek at abilek@gpisd.net.